We haven't had any colorful sunsets lately, at least none that I have been able to observe. Hope to see one again soon. 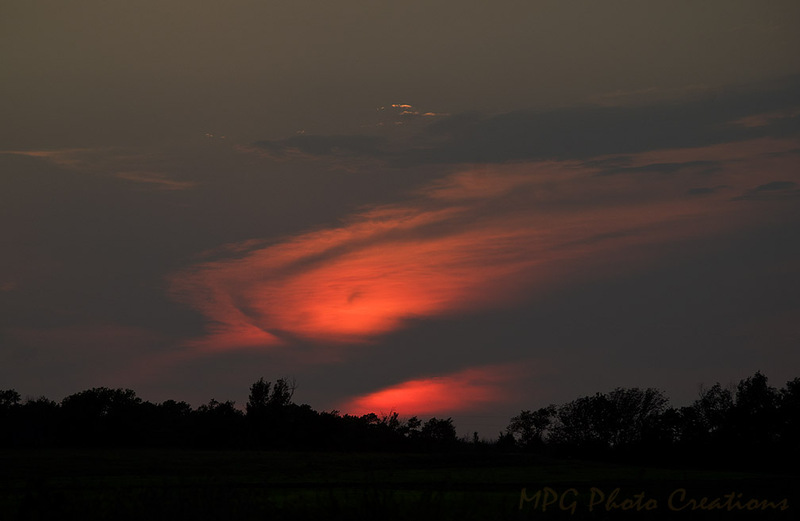 This is a sunset from last August that I thought the cloud patterns were interesting in.